Exquisite Catering began in 2017 as the realization of a dream by Chef Tiffany Williams. She worked for many years in various areas of Hospitality and Foodservice. 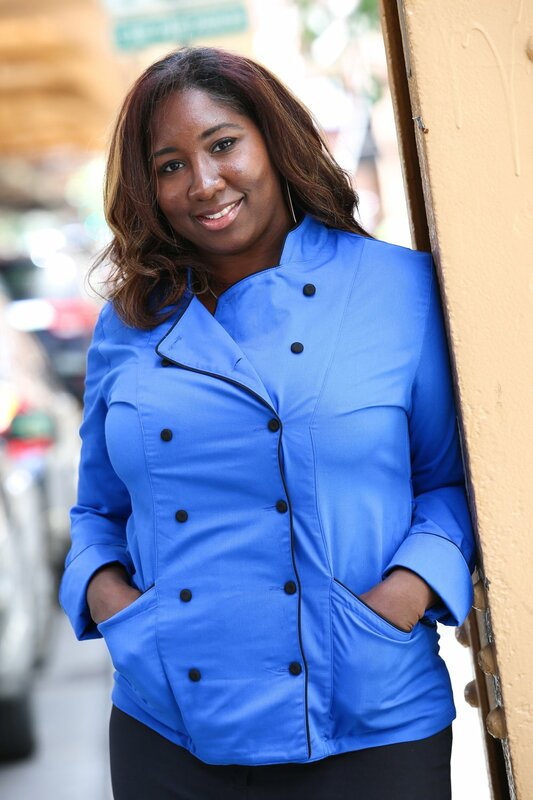 During that time, Chef Tiffany noticed that there was a lack of catering companies on the Southside of Chicago with a focus on International Cuisine. So she packed up her knives and took her talents back to the Neighborhood of Woodlawn where she grew up! Chef Tiffany is a single Mother of three. Her need to help and nurture others has expanded beyond her home. She soon earned the nickname of “Chef Mama”. She was inspired to step out on faith to not only create a company for herself, but for her children and her community. Her mission is to not only provide delicious food, but also to include healthy options as well. Chef Tiffany is committed to working with other local entrepreneurs and vendors to make her vision a reality. It is also very important to her to work with those who have made some wrong choices in life, but are ready to make the right ones. She believes that second chances are a necessary thing. Due to the success of Exquisite Catering, she has expanded her business once again! You can now find her scratch made soups in local eateries. If you want to try a little bit more of her cuisine, you can find her at her new outpost Exquisite To Go at One Eleven Food Hall in the Pullman neighborhood. There, you can experience her creative flavors without having to throw a party. I guess it’s more like a party for one! One Eleven Food Hall is the first ever gourmet Food Hall on the Southside of Chicago. It was listed on Eater.com as One of The Most Anticipated Spring Restaurant Openings. Meet her there, and don’t forget to order the Brisket Sandwich with everything!